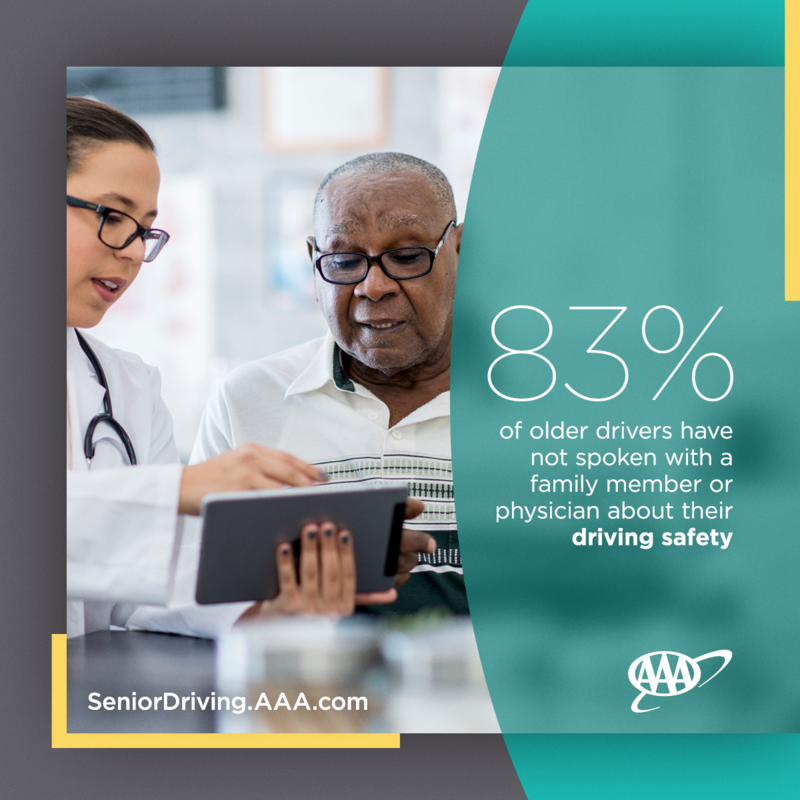 August 14, 2018 – Nearly 83 percent of older drivers report never speaking to a family member or physician about their safe driving ability, according to new research from the AAA Foundation for Traffic Safety. 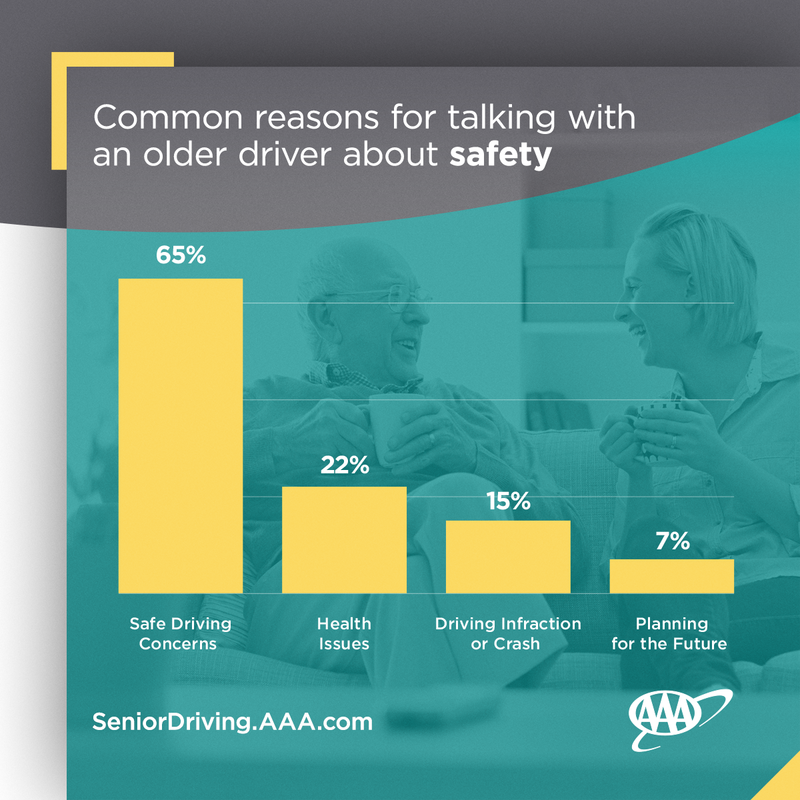 Of the small percentage of families who do have the often difficult conversation, 15 percent do so after a crash or traffic infraction has occurred, which could be too late. Due to their fragility, older drivers are at greater risk of death and injury if involved in a crash. AAA provides automotive, travel, and insurance services to 58 million members nationwide and more than 400,000 members in Oklahoma. AAA advocates for the safety and mobility of its members and has been committed to outstanding road service for more than 100 years. AAA is a non-stock, non-profit corporation working on behalf of motorists, who can now map a route, find local gas prices, discover discounts, book a hotel, and track their roadside assistance service with the AAA Mobile app (AAA.com/mobile) for iPhone, iPad and Android. For more information, visit www.AAA.com.